Mary and her husband are involved in a terrible car crash. With her husband lying terribly injured beside her, Mary watches a set of feet emerge from behind the car they crashed into and walk over to where she is sprawled. One of the feet kicks her in the jaw and she blacks out. When she wakes, she is still at the crash site but on a stretcher. Her husband is on a stretcher beside her and, despite his injuries, is trying to tell her something. A large crowd has gathered and a number of people are recording the event with their phones. She goes ballistic and attacks them. When she comes round in hospital, she is informed that her husband died of his injuries. Worse still, the most traumatic event of her life has become a YouTube sensation with footage of her attack on the onlookers being viewed all over the world. Mary learns that the man driving the car in front vanished from the scene. The car was registered under a false name. She must contact every person she attacked who recorded the event and ask for their help. But somebody is murdering the people who used their hand held devices and is removing their recordings. Mary must try to reach them before the digital fragments of the event disappear altogether. As Mary moves closer to the truth. she realizes the crash conceals a secret someone will do anything to conceal. 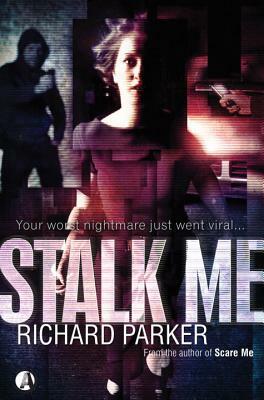 Richard Parker has been a professional TV writer for twenty-two years and started by submitting material to the BBC. After contributing to a wide variety of TV shows he became a head writer, script editor then producer. His first novel, Stop Me, was shortlisted for the prestigious UK Crime Writers Association John Creasey Dagger Award. He has had two short movies shot "Estranged"and"Sleep Tight"(hitting festivals near you in 2012). More importantly, he has just finished penning a brand new thriller for publication. He has now moved from London to Salisbury but in no way hates London. He divides his time between reading, writing, cooking and visiting old English pubs."